Richard Feynman is a theoretical physicist, Nobel prize recipient on Physics, professor of Caltech, a serious academic. However, he is also a curious character and a man of many talent. This book about him is not an autobiography but are little stories on him throughout his life. There is very little about physics. Rather, it demonstrates Feynman's attitude towards everything around him. When he was in Princeton graduate college, he was invited to a tea party at the Dean's house. The Dean's wife served him tea and asked "Would you like cream or lemon in your tea?" He said "I'll have both, thank you. ", quite absent-mindedly. The response was "Surely you're joking, Mr. Feynman. ", the title of this book. Feynman is curious, and this may well be an important attribute for learning. 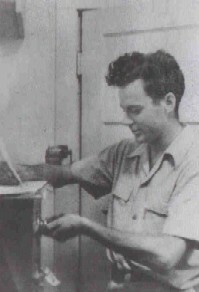 The book has detailed description of how he learned to crack safes when he was in Los Alamos participating in the Manhattan project. He learned painting for a while and had his own painting exhibition. When he was in Brazil lecturing, he learned to play frigideira in a samba band and joined the Carnival parade. He also played all-drum music for a ballet performance. With all these talent, he admitted that he did not know painting, and did not know how to read music score. This demonstrates now one should treat work and other activities as one. There is no such thing as work-life balance for him. He did anything that interested him wholeheartedly, leading to wonderful achievement in both study, work, hobbies and entertainment. It really reminds us that playing out so-called life activities half-heartedly is a waste of time. There are so many humourous passages in the book and I can only quote a few. When he served on an advisory committee on textbooks for the government, a book publisher submitted a volume of three books for evaluation. The last one was incomplete and only the covers with some blank pages were included. To his surprise, Feynman found out that committee members gave good rating to the books, which exposed that they didn't even bother to read them before rating them. He was asked by a group of young rabbis "Is electricity fire?" He was glad that the theology academics were interested in physics and went on to explain the phenomenon. However, it turned out that the rabbis were trying to abide by the doctrine that they should not use fire on Sundays and thus wanted to know if this should include all electrical appliances. Quite a disappointment for him to find out that the rabbis were not modernizing but just trying to follow ancient doctrines to the letter. When he did some lectures in Brazil, he was amazed that the students were well prepared for the lectures. They could answer questions on the reading materials right away. However, they could not answer similar but simple questions put in another way. Feynman finally found out that the students memorized all the papers distributed, as well as all the notes of the lectures. They learned without thinking, read without understanding. There is a familiar situation in Hong Kong where students did the same. We also seldom have questions asked, topic discussed, or even intellectual arguments. On scientific studies, Feynman quoted an example. Islanders of a South Pacific Island saw what the army did there in the war: cargo planes landing bringing all sort of good things. A few decades later, they were found constructing long and flat mud strip with torches on both sides mimicking a runway. The leader would sit in a wooden shed, with wooden plates covering his ears like a headphone. They kept doing this but still wondered why the cargo planes never landed. They used accurate scientific observation and imitated the original way to near likeness. But such superficial scientific method without reasoning could not yield any results. Stories in the book are so diverse and I could only quote 1% of them in the review. You are recommended to take a look. I love his books. He brings physics so close to us laymens. For some reason I remember his experiment on jello the most- it was something like he had half his body out of a window in the dead winter, stirring a bowl of jello in the cold to see if it would congeal. I am now starting another one on his lectures. His attitude is quite amusing, when someone is not at the receiving end. There is an event that he refused to produce receipts for his airfare and hotel for claiming expenses. That really put the poor bureaucrats into a situation. Only a prefessor who didn't care about money can do that. I recommend this article in Feynman Reading Group. If you allow, I would post this article there. Please let me know. The author would be shown in the post, too. Thank you and like it. For you information, the Feynman Reading Group link is listed below.